The Catholic identity of Mount Royal Academy influences every facet of our mission. We focus on keeping first things first. 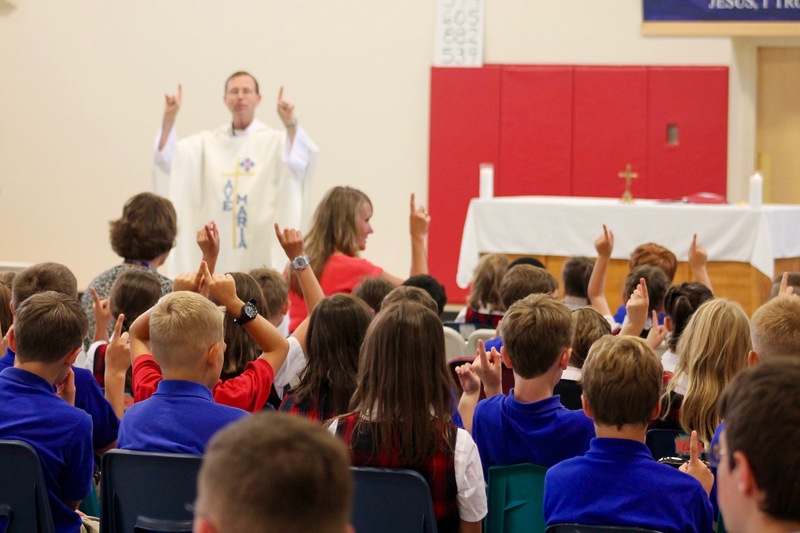 Each day begins with catechetical instruction as the first topic during assembly and homeroom. Prayer is interwoven throughout the school day. In fact, students pray at the beginning of the school day with the morning offering, then we pray the Angelus prayer before lunch, and each day concludes with the recitation of the St. Michael prayer. All are invited to pray with our students! Click here to view the Mass and Rosary schedule. High school and junior high school students listen to either the daily Gospel reading or a spiritual meditation during homeroom. Summercrest Senior Living Community and other senior citizen homes in the surrounding area. The entire school also participates each year in multiple fundraising, canned goods and clothing drives such as the Rice Bowl campaign, and the East Africa Charitable Projects Fund, a locally based non-profit that performs pro-life ministry in Africa, as well as many others. Retreats are crucially important for faith formation. High school students experience at least one retreat a year. Core Team Members in Campus Ministry take a leadership role by either organizing and implementing student-led retreats, or helping support retreat leaders that are brought in from outside the school community. Past retreats have included Net Ministries, Martin Doman, Christopher West, and NH Youthfest.